How Are Your Fees Spent? Go Green Week is taking place between Monday 11 – Sunday 17 February and we’ve arranged lots of activities to help educate and inspire you to get involved and take action on environmental issues. The national week is organised by People & Planet, who support students across the UK to campaign for social environmental justice and manage the only league table of universities focusing on sustainability. 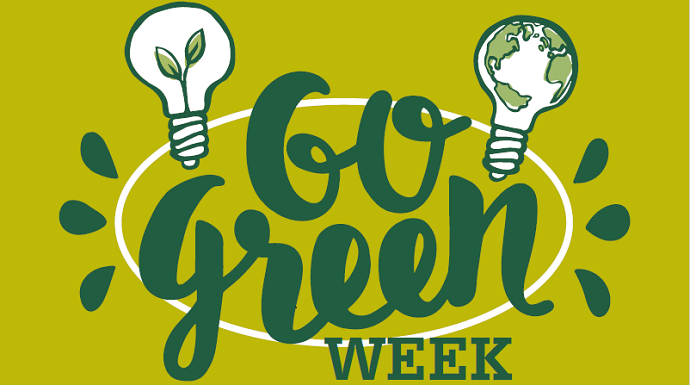 There’s lots of other activities taking place throughout the week – please check out the full Go Green Week programme. Make sure you share how you’re getting involved on our #MCRGoGreenWeek hashtag too! For more information about sustainability at Manchester Met, including upcoming events, please visit the Environment webpage or sign up to the Environment team’s monthly newsletter.